AMSTERDAM (CBS/AP) Joran van der Sloot has reportedly acknowledged extorting money from Natalee Holloway's parents and claims he did it to get back at them. The Dutch newspaper De Telegraaf quotes the Dutchman as confessing to taking money from the family of the American in return for revealing the location of Holloway's body in an interview published today. He was indicted in the U.S. in June for extortion after being caught in an FBI sting. Tthe place he indicated as her burial site turned out to be bogus. Van der Sloot is considered the prime suspect in Holloway's 2005 disappearance, and is currently being held in Peru for the murder of 21-year-old Stephany Flores. Holloway was last seen alive with him on the Caribbean resort island of Aruba in 2005; van der Sloot has publicly said that he killed her and then retracted his confession several times. "I wanted to get back at Natalee's family - her parents have been making my life tough for five years," the paper quotes him as saying from prison in Peru. "When they offered to pay for the girl's location, I thought: 'Why not'?" U.S. prosecutors say that earlier this year as part of the sting, Natalee's mother sent $10,000 in cash to van der Sloot through an FBI witness, and a wire transfer of $15,000 to van der Sloot's bank account in the Netherlands. He used the money to fund a trip to Latin America. On that trip, Peru officials allege that he killed Stephany Flores in his hotel room in Lima, Peru, on May 30 - 5 years to the day after Holloway's disappearance. He met both women in casinos. Van der Sloot initially confessed to killing Flores to Peru police, but later said he only did so because he was intimidated and had been promised he would be extradited to the Netherlands. His requests to have his confession in the Flores case retracted - on the grounds that he did not have proper legal representation or an official translator - have so far been denied. Van der Sloot faces charges of first-degree murder and robbery for Flores' death. Police say he smashed in the young woman's face, then strangled her, threw her to the floor and emptied her wallet. Despite van der Sloot having been arrested twice in the Holloway case, Aruba prosecutors say they do not have enough evidence to put him behind bars. 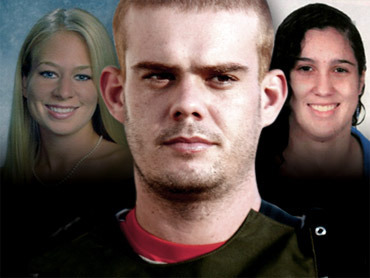 Complete Coverage of Joran van der Sloot on Crimesider.